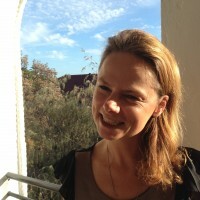 Gabby Shaw is Digital Media Manager at the Museum of Contemporary Art Australia. She has worked in digital research, creative and strategy for 14 years. Previously, Gabby worked in various digital research and strategy roles at the Australian Broadcasting Corporation, and has worked as a Research Manager for a global research company specialising in media analysis, a freelance writer and a TV production manager. Gabby now manages the MCA’s core digital properties - website and apps - with a focus on developing experiences for digital audiences and for gallery visitors. Gabby oversees digital, development, content production and strategy to support the MCA’s ambitions to promote the enjoyment and appreciation of contemporary art to a wide and interested community.